I'm a sucker for a cutesy, love story. Whether fictional or real life (aka howheasked.com). And with Valentine's Day this weekend I thought I'd share some of my favorite romantic movies! I've rounded up more dramatic flicks like the classic Notebook and some fun, lighthearted ones like My Big Fat Greek Wedding. Side note: who else is super excited for the sequel to it?! 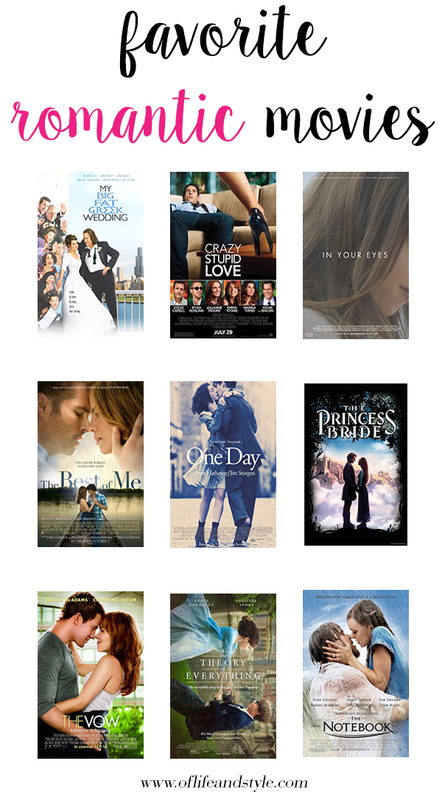 So here's my favorite romantic movies! Whether it's curling up on the couch by yourself, with a girlfriend or two, boyfriend, husband, fiance or significant other there is definitely a movie to satisfy your romantic feels! So grab the popcorn, wine, chocolate and press play!